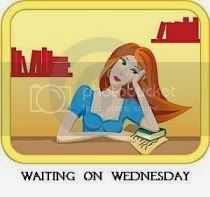 Waiting on Wednesday is a weekly meme hosted by Jill from Breaking the Spine that spotlights upcoming releases we are eagerly awaiting! Three years have passed since magic destroyed the world. Those who remain struggle to survive the monsters roaming the streets, fighting back with steel and magic—the very weapons that birthed the Howls in the first place. Tenn is one such Hunter, a boy with the ability to harness the elements through ancient runes. For years, the Hunters have used this magic to keep the monsters at bay, but it's never been enough to truly win the war. Humans are losing. When Tenn falls prey to an incubus named Tomás and his terrifying Kin, Tenn learns there's more to this than a fight for survival. He's a pawn in a bigger game, one with devastating consequences. If he doesn't play his part, it could cost him his life, his lover and his world. Born in Iowa and educated across the States, he’s taught circus in Amsterdam and Madrid, gotten madly lost in the Scottish wilderness, received his Masters in Creative Writing from Glasgow University, and drummed with Norse shamans. Sometimes he also walks about on stilts. Or sews. Or hammers tiny pieces of metal into pretty shapes. When he’s not writing or climbing in the rafters, he’s probably drinking coffee. And seeing as he currently resides in Seattle, there’s coffee aplenty. He is represented by Laurie McLean of Foreword Literary. This one sounds like it could be pretty interesting. I'll have to keep my eye on it. I hope you enjoy. Thanks for returning the favor! Martyr sounds pretty awesome. I can't believe this is my first time hearing about it. I haven't seen this book before. I like the cover. It's intriguing. Right? I love the cover for sure! Thanks for stopping by! Oh yay! So glad you added it. Thanks for stopping by! I really think this is going to be a good book. I like the summary. Great pick. Thanks for stopping by, Grace! I haven't had a lot of luck with Spencer Hill Press, but this does look good. Thanks for sharing! Hope it gets better! Thanks for stopping by! I agree! Thanks for returning the favor! It sounds really good! It showed up on NetGalley recently, but I didn't bother to request it because Spencer Hill Press always turns me down (even though they once used a quote from one of my reviews on NetGalley). Oh, well. I shall wait like everyone else. It's not that long. I'll make sure we get some in the store. I have it a shot and requested it. We shall see. Good luck, Michelle. I hope they approve you! Thanks for stopping by! This sounds super interesting, great pick!! And new to me, too!! Right? I love the cover! Thanks for stopping by! Thanks for stepping by and sharing! I love the cover! Thanks for returning the favor! Followed! Thanks for returning the favor! Ooo, that cover is wicked looking! Check out that blue orb!! Is this scifi? Looks and sounds awesome! I hope you enjoy this book when you read it! I know, right? I love this cover so much. I want to pet it! It's fantasy Thanks for stopping by Alyssa! Wow, it looks really good! Interesting books. Haven't heard of them but thanks to you, I do now. This looks really good! I'm totally adding it to my TBR list! I haven't heard of this one before! Thanks for introducing me and for stopping by my WoW! It sounds good but I don't want to start a new series! :p Thanks for stopping by my blog! I hadn't heard of this before but it sounds really interesting. 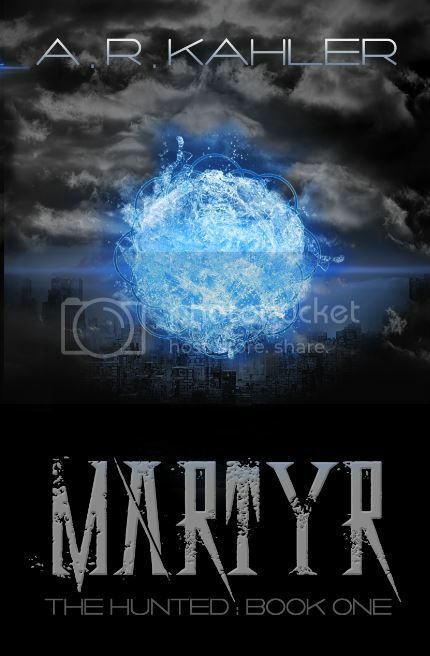 I'm going to keep my eye out for Martyr it's sounds like a book I'd really enjoy - thx!!! Oooh... I really like the sound of Martyr!! Definitely one I'd enjoy! I haven't heard of this before, but it definitely sounds pretty interesting, the element touch is cool. Thanks for sharing!